Psychological Counseling Services have been providing patients in the local region access to private treatment programs that aim to help them overcome addictions, relationship issues, and mental health problems, through an effective intensive outpatient program. The facility was originally founded by Dr. Ralph H. Earle and has been providing treatment services to patients since 1973. In addition to providing evidence-based treatment services that target addictions and mental health disorders, the company also has a range of solutions for patients who are struggling with an eating disorder. The treatments that are offered to patients have been thoroughly researched, and all implemented therapeutic solutions are evidence-based. Psychological Counseling Services only offer patients access to outpatient treatment programs that require the patient to have their accommodation during the time in recovery. Thus, patients are not provided with housing benefits at the facility. For those patients who might not be local or who may require access to a sober living environment to ensure they are not exposed to alcohol drugs while they are undergoing treatment at Psychological Counseling Services, the company does offer an extensive list of facilities in the region that can be utilized to provide patient with appropriate sober living accommodation. The company recommends that patients stay at Camelback Recovery’s housing facilities. There are separate units available for male and female patients. Male patients may utilize either the Soujourn house or the Hayden House. Female patients have three options to choose from, including the Arcadia House, Serenity Ranch, and the Raintree house. 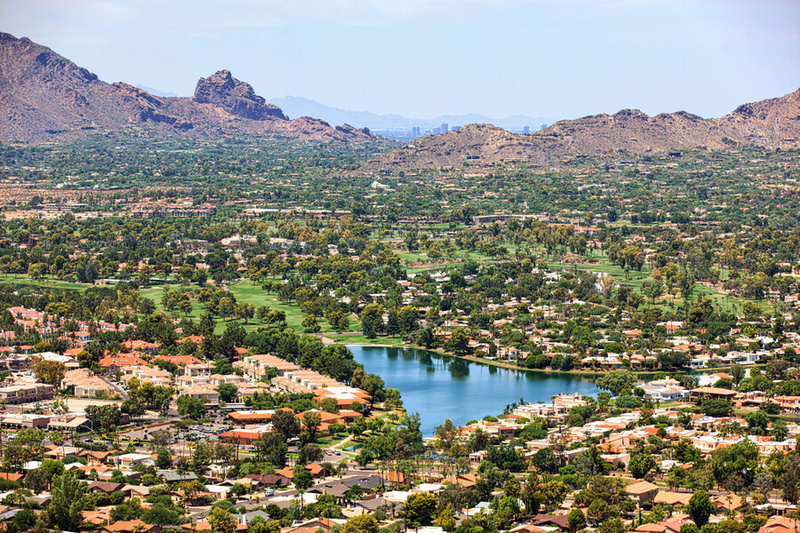 The costs of housing at one of these facilities are separate from the patient’s main treatment program at Psychological Counseling Services and need to be discussed with the Camelback Recovery center’s admission office. Psychological Counseling Services has an intensive outpatient program that patients can utilize to help them overcome a wide range of problems, with a large focus on addictions to both alcohol and drugs. The facility is also able to assist in treating eating disorders, along with specific programs that target patients with mental health conditions. If a patient has an addiction and shows signs of a mental condition, both are treated simultaneously with a single treatment program. Psychological Counseling Services does not offer any direct insurance benefits, but the facility is able to provide the patient with a statement that can be presented to their insurance provider. There are cases where the insurance provider may decide to reimburse the patient for the fees they paid. Patients will need to pay a deposit before they can start their treatment at the company. The programs are billed on a weekly basis. Psychological Counseling Services has not provided any details in terms of accreditations that the facility holds, awarded by institutions such as CARF and the Joint Commission. The facility also does not provide details of licenses that state-based authorities have provided them with for the particular services they are able to offer their patients. There are no specific amenities that are worth mentioning offered at Psychological Counseling Services since this company does not provide residential services that offer patients access to such features. It should, however, be noted that it seems like the company has partnered up with certain facilities in the local area to provide sober living care housing programs for patients who require accommodation while they are being treated in one of the outpatient programs offered by this company. Psychological Counseling Services wants all of their patients to feel as comfortable as possible – not only during the time that they are treated at the facility, but also when they make a choice to admit that they need help and come to the intake office for assistance. The facility understands that many patients want to be acknowledged with staff members involved at a company like Psychological Counseling Services before they choose which facility to opt for in order to help them recover, which is why the company has shared an extensive list of staff members that patients may be introduced to while they are undergoing the therapeutic services offered to them. Elijah Bedrosian is a Licensed Professional Counselor who obtained training in a residential facility where patients were treated for addictions. Additionally, Elijah is also a Somatic Experience Practitioner. He specializes in therapies that focus on addiction, trauma, betrayal, and relationship problems. Aliza Cooper is a Licensed Marriage and Family Therapist. The successfully complete training in Emotionally Focused Therapy and is highly experienced in Eye Movement Desensitization and Reprocessing Therapy. Suzanne Berndt is a Licensed Professional Counselor. She has a Masters degree in Counseling, along with a Masters degree in Health Services Administration. Suzanne is a graduate from the Arizona State University. In addition to these qualifications, Suzanne also holds a Bachelors in Psychology and Anthropology.